Know why WP Project Manager Pro is the right solution for your team. We’ve designed it keeping the most crucial operational needs in mind. WP Project Manager is loaded with features that's right just for anyone. Use it to manage your personal endeavors or business tasks. It's perfectly easy even for the rookies in WordPress! Create unlimited projects, tasks, set title and details. See progress bar, mark to-do as complete/incomplete. Add users and different types of user roles. Add comments, see start & end date of project. 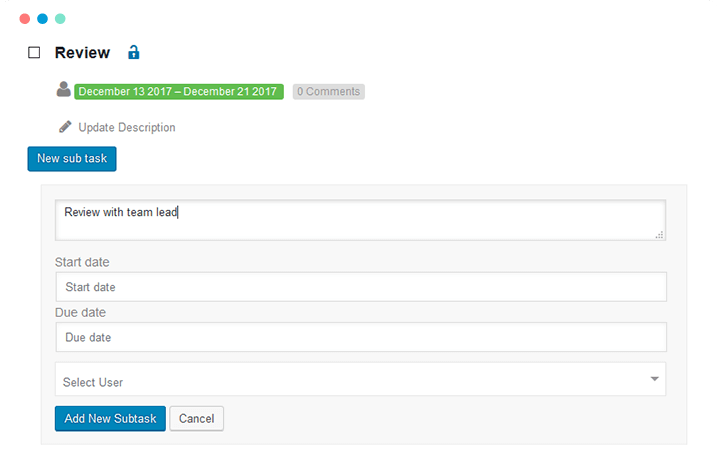 Send mail to all team members and edit messages right from your Project Manager. Communicate freely while viewing tasks & progress. Add attachments & comments. Discuss anything with everyone in team as effortlessly as face-to-face communication. Privately exchange important things with clients or agents. 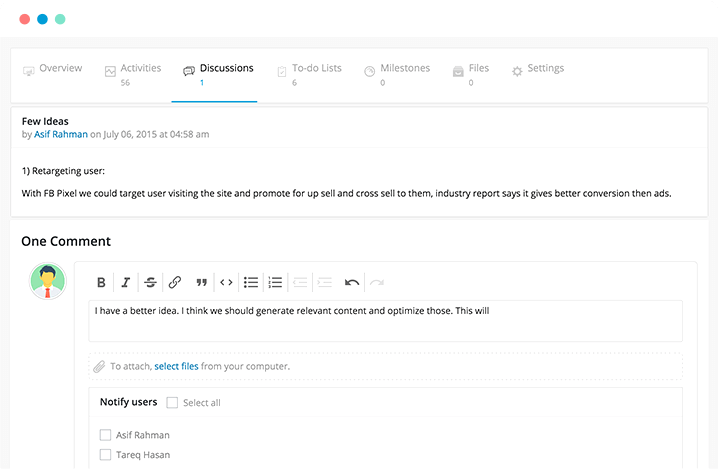 Add attachments and comments straight from your dashboard. 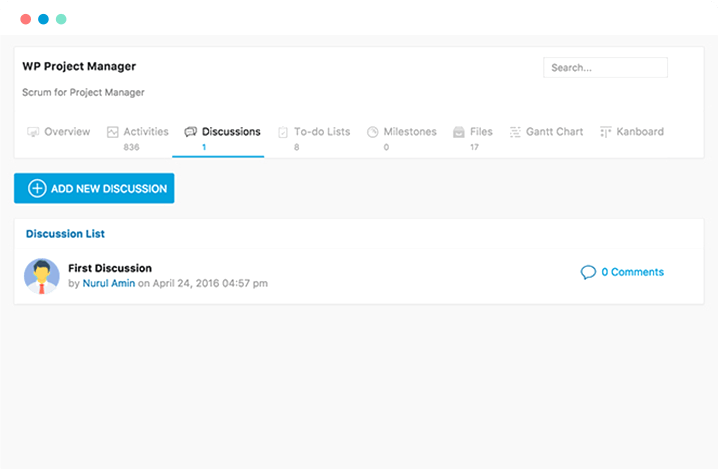 View task progress real-time while discussing. Filter assignments project-wise. 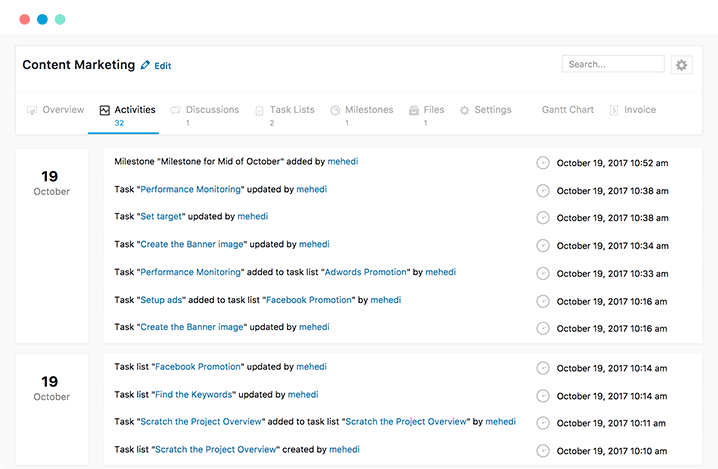 Each task is linked to its task list page. Color codes for easy recognition. Drag & drop tasks to change due dates. See daily, weekly & monthly progress of tasks, and everyone assigned. 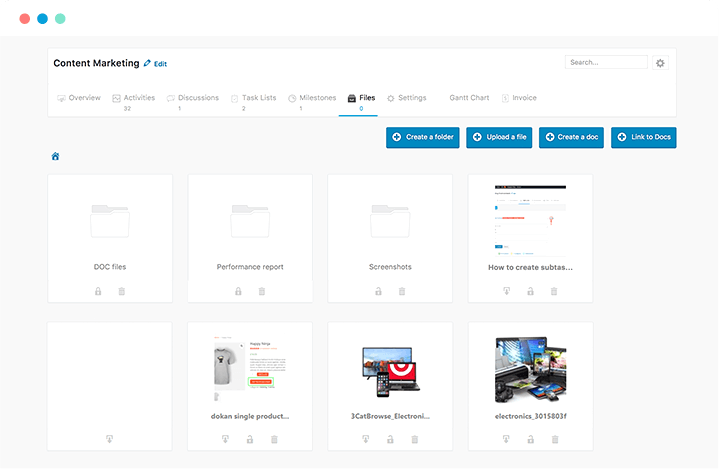 Upload and view files from dashboard. Create folders and link to documents. 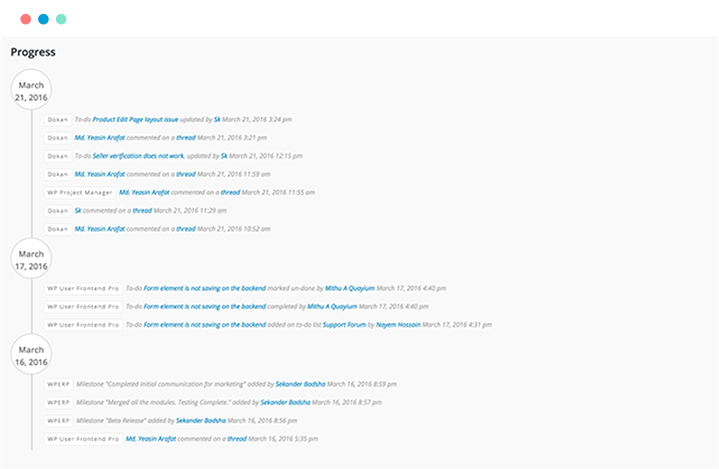 Navigate to linked messages and task lists. Make any file or image private as appropriate. Change individual user permissions for better privacy. 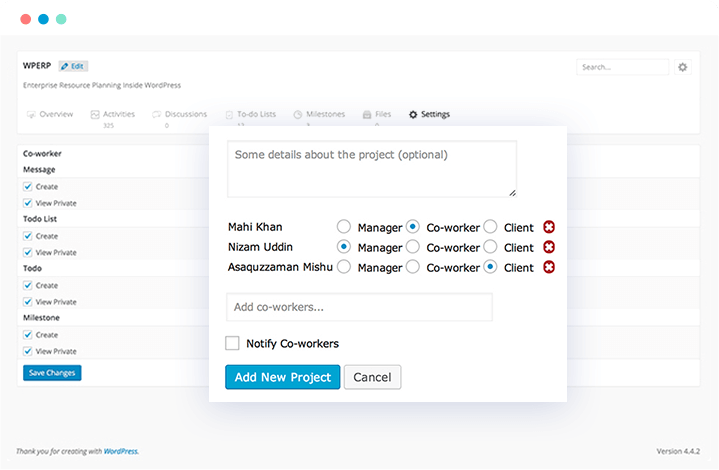 Decide the roles of each user for every project. Also control team capacities for all your projects. 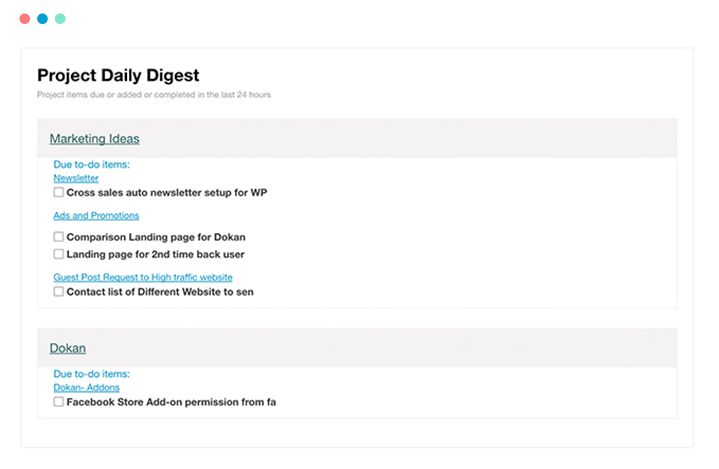 Let users edit discussions, projects & tasks from frontend. No need to let everyone access to your backend/dashboard. Check updates of team members across the company site. Get real-time fill-ins on all tasks & projects with progress report. Automatic mails to all task members everyday. Get an overview on all completed & pending tasks for the day. 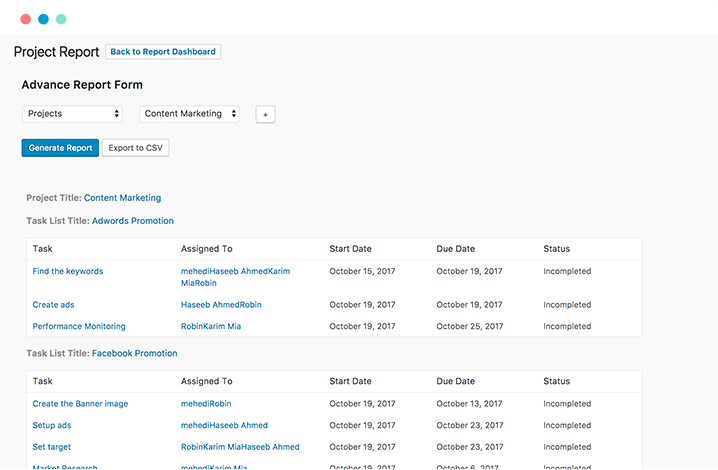 Get automatic detailed reports for all projects. View task lists, assignees, dates & status. Linked tasks, lists, and co-workers. Export reports to CSV. Also take prints directly from dashboard. Several filters to narrow down reports e.g. 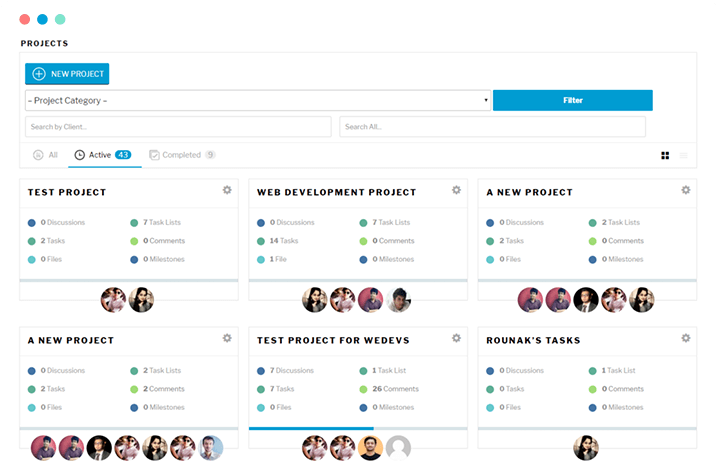 employee-wise, projects, milestones & task status. Get live updates of all changes happening within every project. See updates as they happen including the time & date of each. WP Project Manager PRO makes it easy for ALL types of teams to perform effectively. With its intuitive automated ways it ensures timely and efficient completion of tasks & assignments. WP Project Manager comes with a range of supercharging extensions so your teams can perform a variety of tasks faster & efficiently. Get to do even advanced functions with these! task in a task list. Keep track to show clients time spent on each to-do. Calculate total time spent on a task in a task list. Add time log to define the duration of a task. 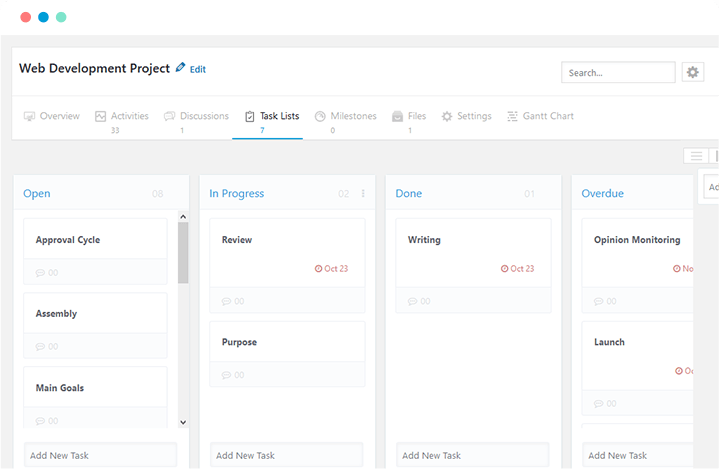 Organize tasks in board style with drag & drops according to their status. Create, update, and check off tasks even from your portable device. 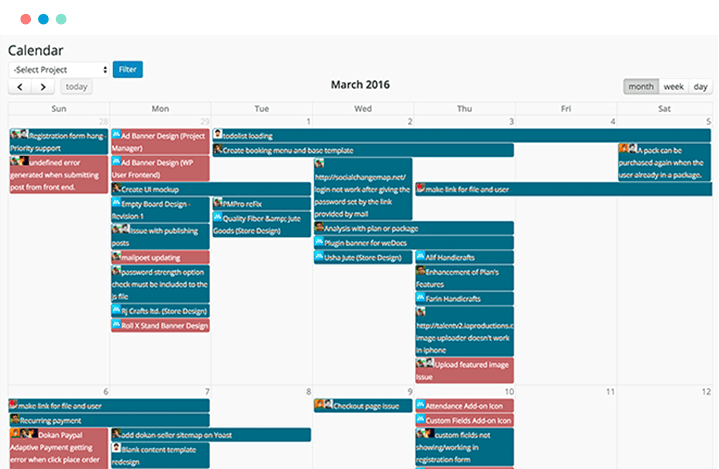 Plan content calendar, assign blogs, make discussions & track deadlines easily. Empower teams & clients with oversight on progress, completions & priorities. Assign team members, set start & end dates,and attach resources. Unlimited sub tasks for better control & organization of workflow. Break your broad tasks into smaller ones with sub tasks integration. Make comments and conversations under each sub task. Display payment options & all information to clients clearly. Getting paid made easier! 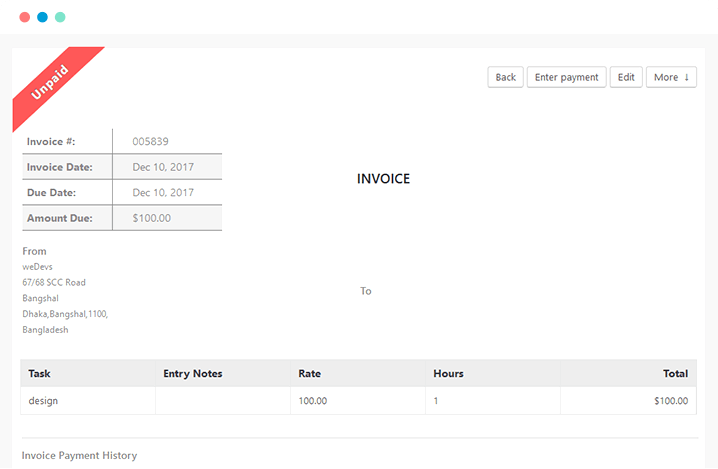 Bill for hourly & fixed jobs and track the status of payments directly from dashboard. 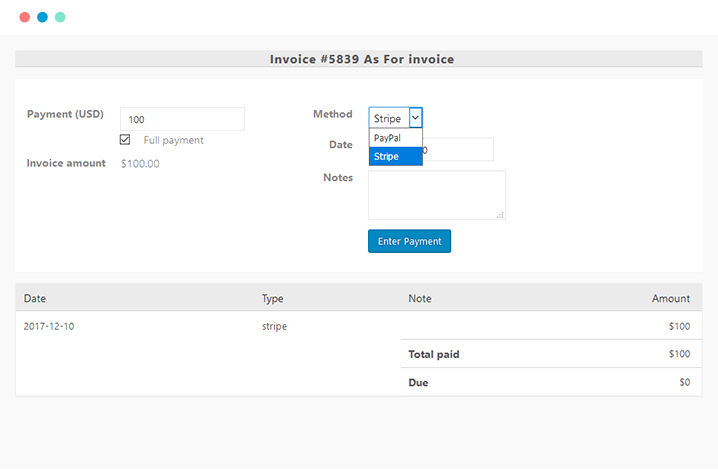 Creating & sending invoices made simple with automated ways of this integration. Download PDF invoices, do reporting, recurring billing, discounts & estimates. 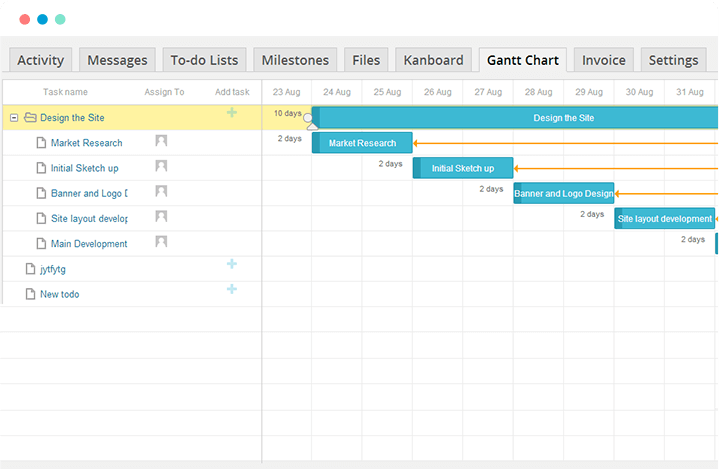 Easily manage and track projects schedules from a single dashboard. 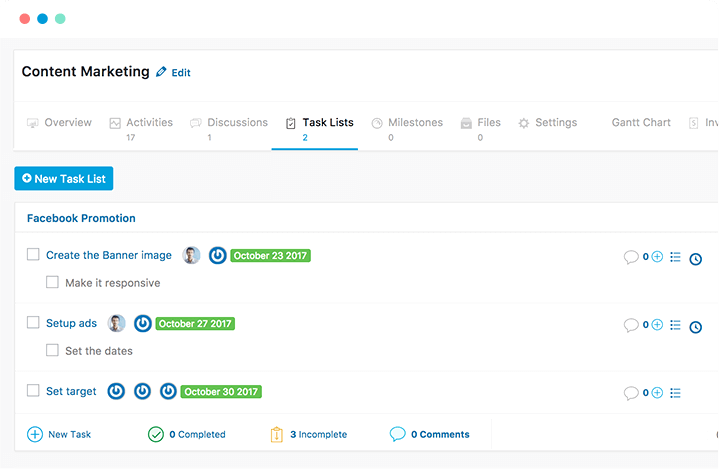 See all task lists, all tasks under each list, and assignees of each task against time. Find duration of each task, overlapping activities, start & end date of whole project. Add tasks, watch progress of each task, and increase/reduce time. Easily integrate WooCommerce product orders to WP Project Manager. Predefine criteria to auto-duplicate a project when an order is received. 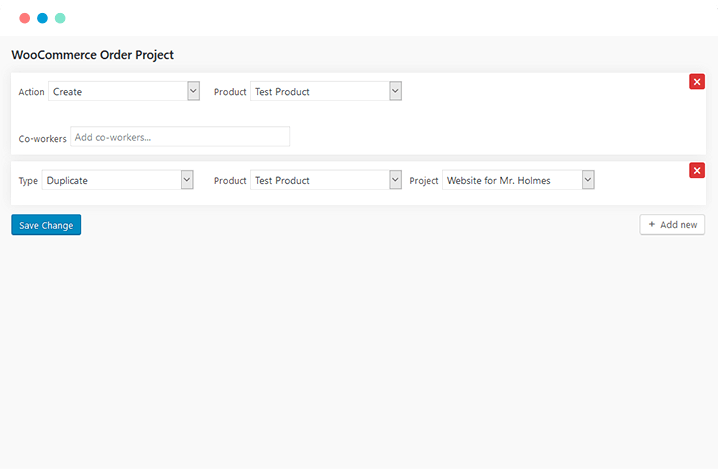 Automatically create a New project for a particular product when order is received. Powerful organization & more transparency of work. 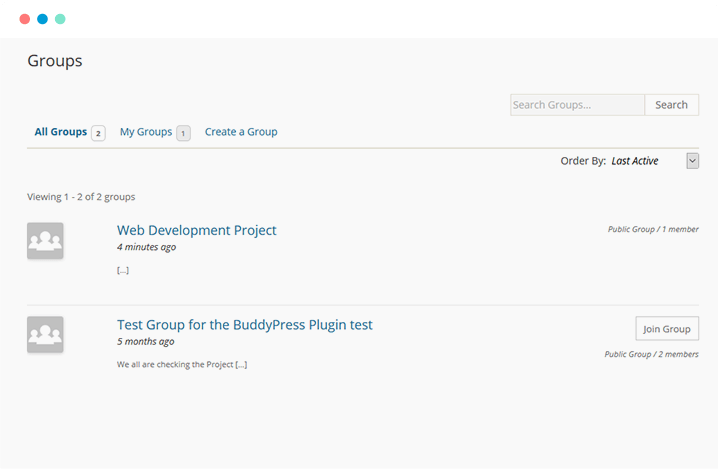 Seamlessly manage projects group-wise from the frontend. Create & interact with team members and clients in groups. Control privacy of departments, projects, and tasks as you like! Automate transactions so users can pay instantly using low cost Stripe gateway. Users and clients can make payments without leaving your site. Perform card authorizations, automatic settlement, refunds & much more. 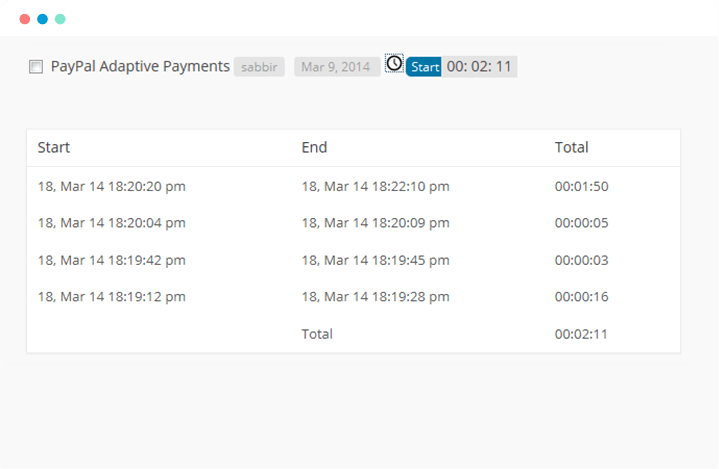 Receiving payments made faster with Stripe Payment Module for WPUF! I Want The Pro Features Now!